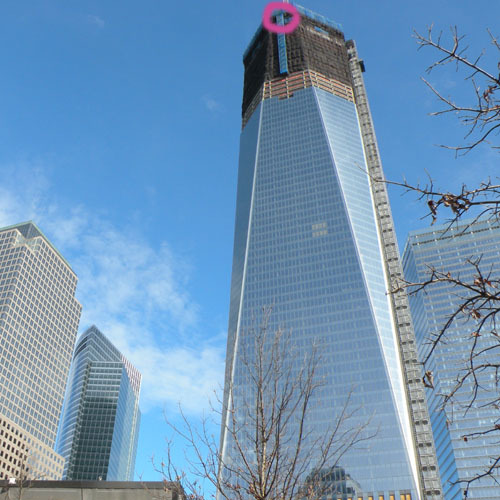 This photo of one replacement for the terrorist-destroyed World Trade Center “Twin Towers” in New York was taken on 2nd February 2012. You will remember (who could forget?) that the Twin Towers were destroyed when two hijacked aeroplanes were deliberately crashed into the iconic buildings on “9/11” (September 11th 2001). The rebuilding of the tower is a symbol of America’s determination to carry on in the face of violent opposition. See if you can see the changes in the two versions of the image.